Top 5 Popular Themes in Match-3 Games Artykuł - Zwykłe Darmowe Gry! Oceń ten Artykuł Match 3 games may be played the same, but they all come in different styles and themes. There's a match 3 game for anyone, and we've rounded up the five best themes so you can pick your favorite. Browse through any app store and you’re sure to find lots of Match-3 games leading the pack. Whether it’s candies, gems or bubbles, there’s a match-3 game to suit any personality and preference. The appeal of match-3 games is only surpassed by the many variations that the gaming world offers. Here are five of the top themes that make match-3 games highly addictive. Choose from a wide variety of match-3 games that will cure your sweet tooth. From shiny candies, fluffy cupcakes and chewy cookies, there’s a yummy matching treat waiting for you. 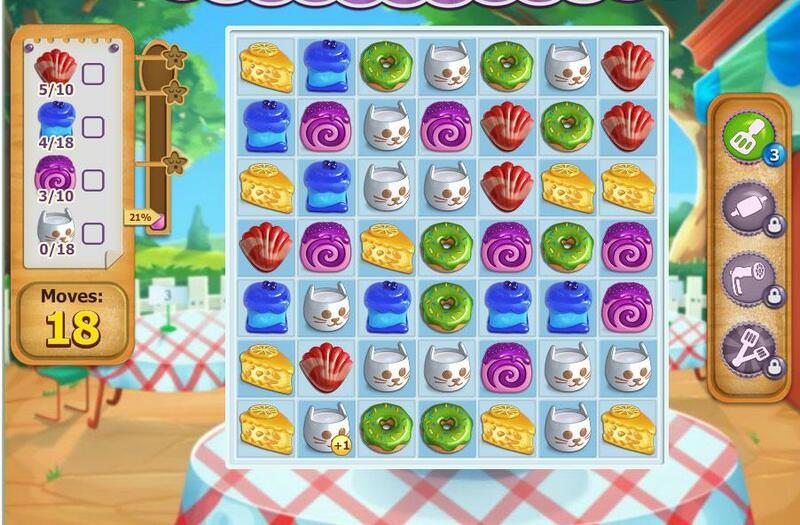 Try Candy Crush Saga or Candy Valley and match candies to clear them off the board. If you prefer pastries or cookies, try Cookie Jam and Pastry Picnic. Many players love games with yummy graphics that look good enough to eat. 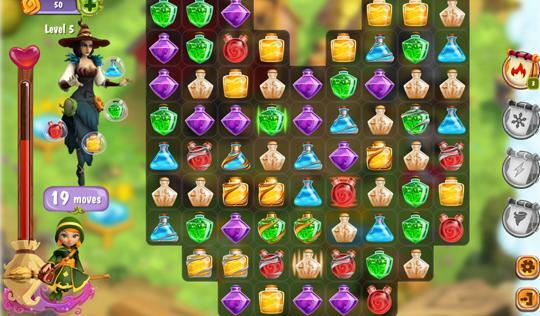 Sweet food items also tend to look colorful and vibrant, which is great eye-candy when playing a game. 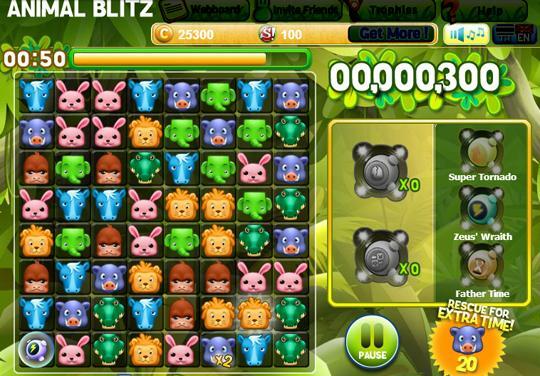 Gems, jewels, mysterious orbs – these themes comprised the earlier versions of match-3 games, such as the well-loved Bejeweled Blitz. Today, you’ll find even more themes that are inspired by jewels and other treasures. If you want a quick game that lets you match gems for 60 seconds or less, try Diamond Dash. To get more adventure with gem-matching, check out Secrets of the Past, where you look for artifacts around the world. Precious stones will always have their mystic allure to people who are drawn to treasures and old, historical settings. Penguins, lovable monsters and other creatures can make a match-3 game highly endearing. While food items and treasures are non-living things, animals and other fictional creatures can make a game “come to life”. In Monster Busters, you swipe together cute gingerbread creatures to climb a tower while defeating monsters along the way. Matching different cute animals together is also quite enjoyable, and games like Anipop feature bears, owls, frogs and other animals for a fun matching experience. Animal Blitz 2 lets you match wild animals like lions, elephants and giraffes. Anyone who likes animals and other creatures should find this theme irresistible. They say fruits and vegetables are good for you, and this is also true for match-3 games. You’ll be surprised to find that lots of puzzle fans find joy in matching carrots and beets. There are traditional games like Fruit Land, where you need to match apples, oranges and lemons while getting rid of slimy worms. Other games have more features like Farm Heroes Saga, where you match cute cropsies, collect Magic Beans and defeat the Rancid Raccoon. People who are drawn to farming games will surely enjoy this theme. What are magic potions made of? The answer might be in match-3 games. Discover the wonder of concocting powerful spells in a bottle with games like Witchy World and Witchy Tale, where you need to match ingredients to create different potions. In Mana Crusher, you need to connect as many Mana bottles together to clear the board while casting spells to help you win the game. You can even save a magical world by matching potions and defeating an evil witch in Fairy Mix. If you like formulas that works in magical ways, these games are definitely right up your alley. Match-3 games may have a common game mechanic, but it doesn’t mean that it can’t be different. On the contrary, game makers in this genre are constantly trying to stand out by coming up with new themes that resonate with a wide audience. If you don’t find the theme you like, it’s possible that it’s in the works. Meanwhile, have a break and enjoy any of the games in this list.